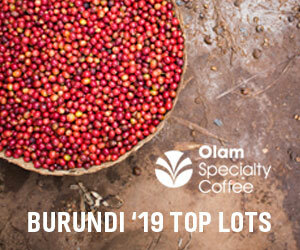 All Images Courtesy of Pull Luxury Espresso. No one is better versed in the inevitable faltering of the electronic components in today’s commercial espresso machines than the people that sell and repair such machines. 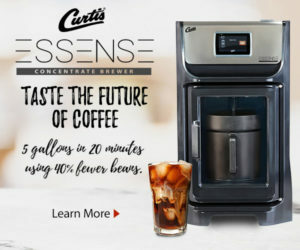 Of course, the manufacturers stand by their products and many will make excellent espresso for as long as they last, but no electronic device lasts forever. Pull machines borrow time-tested mechanical principles from classic hand-pulled spring-lever machine designs and update them with materials and workmanship they claim is superior to those of eras gone by as well as to those of today’s typical mass-manufacturing sensibility. 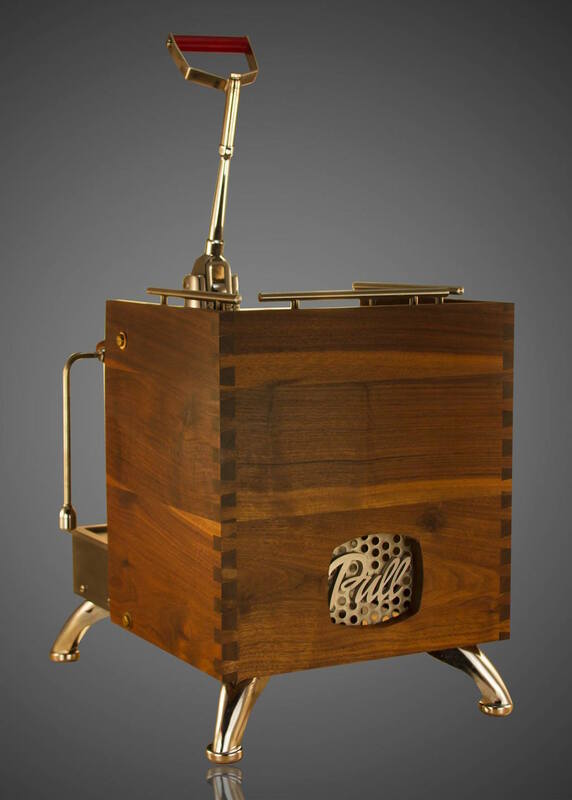 Millar got his start building espresso carts in Seattle in 1989. With a four-person crew and a small woodworking shop on 1st Ave S, they eventually started also importing the machines to pair with their carts. They also found a lot of clients that wanted a setup with the least electrical demand possible. 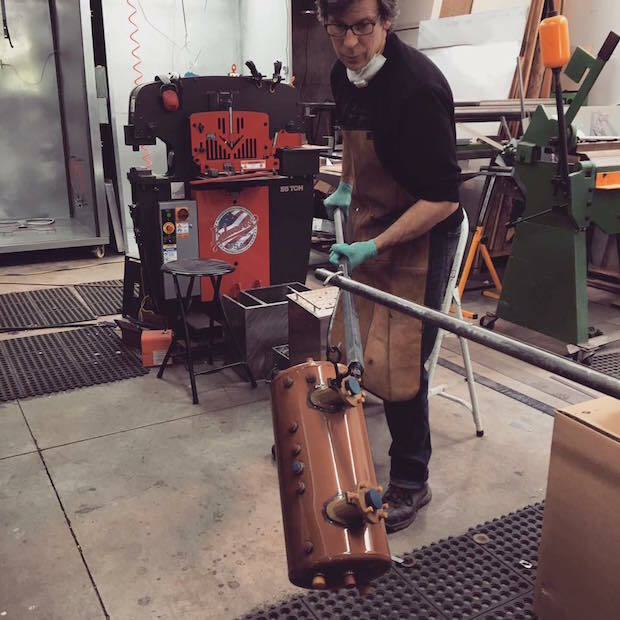 Ten years later, Mary and Todd Millar moved on from the cart-building business and relocated to Portland, Ore., where they focused more on the import, service and repair of electronic machines. As years went by, Millar would sometimes wonder if his recollection of the great coffee from lever machines was just a romanticized memory until a client would request a manual machine and he’d import one and test it. Coming up on 30 years in the industry, Millar said he has clients that he’s sold three or four machines to and is all too well acquainted with the cycle. 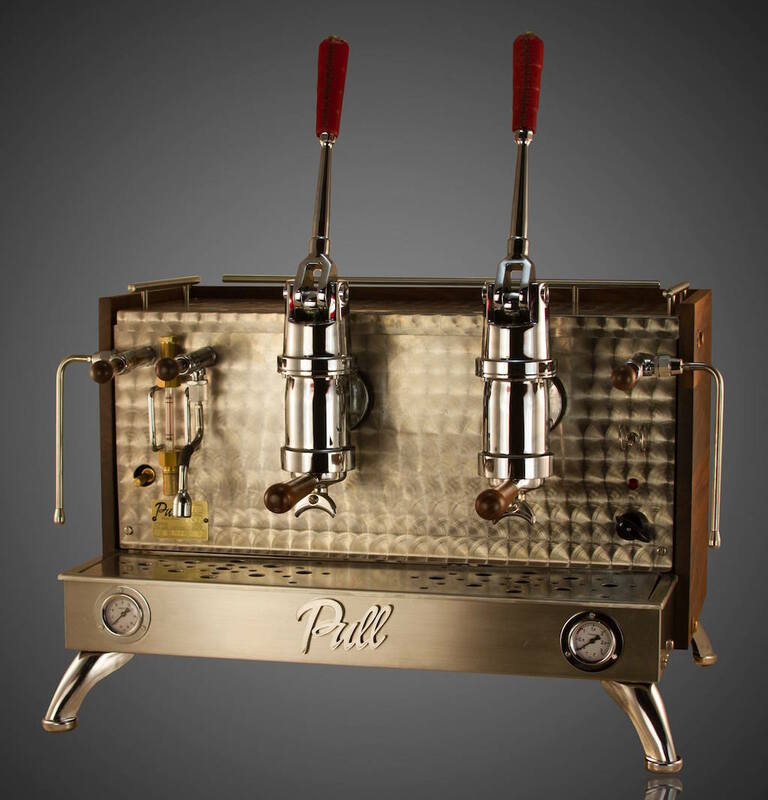 Pull Luxury Espresso machines are built by the company with goals of providing ideal preinfusion, temperature stability, shot consistency and easy maintenance, but they’re also built to be both beautiful and as long-lasting as possible. 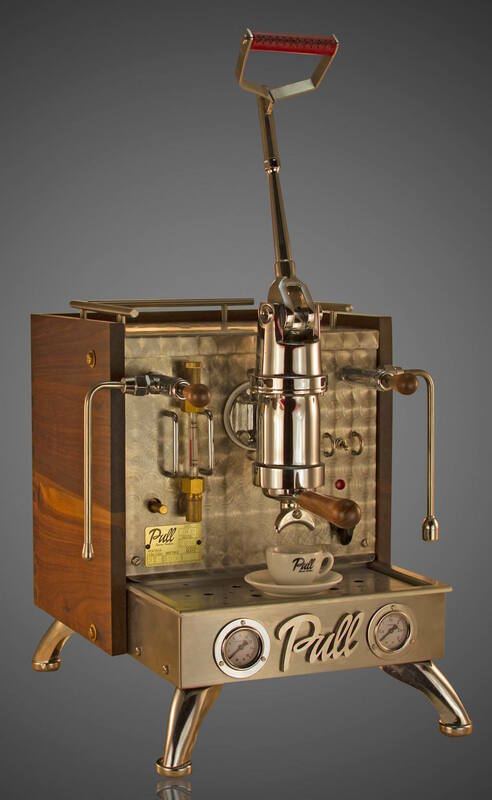 Each hand-made machine is encased in walnut with hand-cut dovetails, with walnut portafilter handles and hand-stitched Italian leather-wrapped lever handles. An Edison light bulb illuminates behind the rear Pull logo plate. Efficient heat transfer occurs by having the group bolted directly onto the boiler, while thermal stability is maximized by the sheer mass of the group — a 22-pound hunk of solid brass, chromed on the outside and with a stainless steel interior sleeve. The boilers are made out of 99 percent pure copper and are finished with an oven-baked clear gloss powder coat. What few wires are required inside are shielded and connected with all high-temperature-rated components, and the frame is made of 1/8-inch-thick iron, triple-layered in oven-baked, powder-coat finish as well. Materials and treatments such as these, and the attention to detail with which Pull assembles each machine are what set Pulls above even the other lever machines currently in production, according to Millar. Millar contends that what grants a lever machine greater power of excellent espresso is essentially its gentle, even and effective preinfusion, the process for which in an electronic machine grows so convoluted that the cards are stacked against it happening perfectly every time, if at all. A switch or touchpad turns on the motor, the motor moves the pump, a flow meter measures an exact amount of water and a solenoid opens to let it through; in most cases the pressure goes disruptively from zero to 140 PSI almost immediately, while in some cases there are systems for managing and “profiling” the pressure, yet even the latter are only striving to achieve what lever machines are engineered to achieve with consistency and precision, in Millar’s view, without any complex electronics. Slower, gentler preinfusion allows for a more thorough extraction, so effectively according to Millar that one could theoretically pull an equivalent or superior shot even with a lower dose, while its prevention of channeling — the enemy of shot consistency — verges on the supernatural. 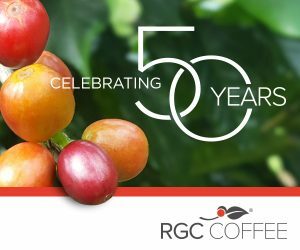 “This is mind-blowing, but I’ve gone as long as a full month without changing the grind,” said Millar, who in his many years of training electronic machine users has always issued caveats that the grind typically needs to be adjusted three or four times a day in a commercial environment, resulting in a necessary though regrettable waste of coffee. 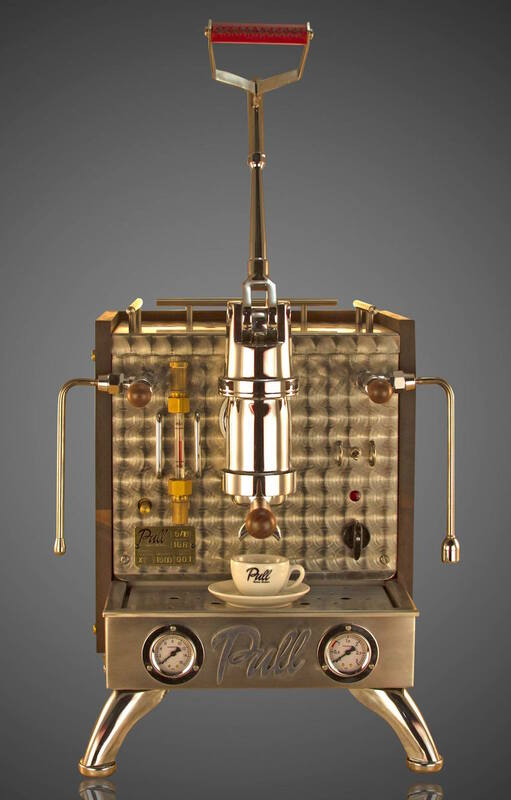 For explorers in today’s era of espresso experimentation, a variable rate of preinfusion has for a while been a significant advantage among newer semi-automatic machines, although an advancement by Italian lever group designers and adopted by Pull through the group head it sources provides this variability as well. The group of a Pull machine features an adjustable valve that allows users to calibrate and dial in their preinfusion pressure based on such factors as altitude, desired boiler pressure or personal preference. 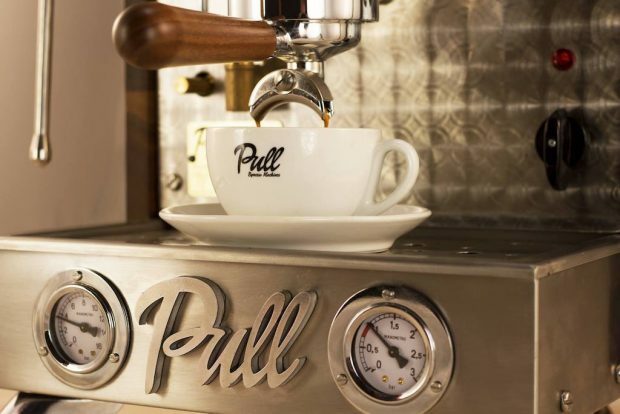 The aesthetic experience of baristas operating a hand-pulled machine is meanwhile another element of heritage that Millar hopes to bring back to the commercial sphere with Pull machines. 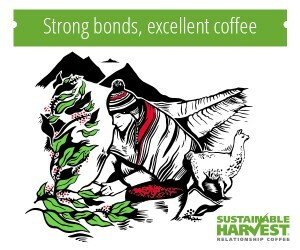 The old world sensibility also guides the Millars in their roasting company, Millars Organic Wood Roasted Coffee. With four buildings spread out over seven acres in Yacolt, Wash., near Mount St. Helens, the Millars run three operations: Pull Luxury Espresso Machines; their older and ongoing machine import, sales and service business called The Original Espresso Machine Company; and a roastery centered on an antique 15-kilo Turkish roaster they modified to run on naturally fallen cherry and maple wood from around their property. The wood smoke and heat runs directly over the beans, affecting its flavor, and they were also an early adopter of the barrel-aging technique, conditioning green beans in Kentucky bourbon barrels. 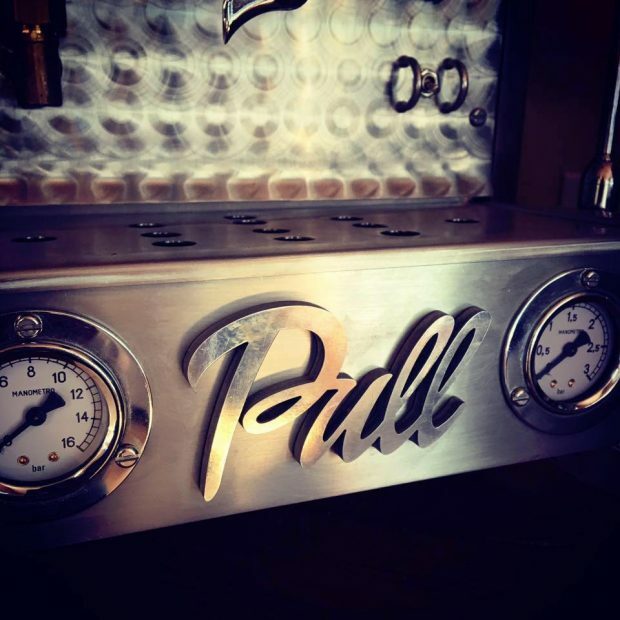 Pull Luxury Espresso Machines are currently in their first run of production. The company sells a single-group machine for $8,500, or a two-group machine for $10,500, both of which prices include professional installation, training and support. Oh, the irony when these appear in a pop-up café. Are these not a modified Londium? They look nearly identical to one except for the enhanced aesthetics. Beautiful machine, but they must be kidding themselves with the pricing. They need to ask themselves why a serious customer would want to spend 8.5K on a pull when they can purchase a Londinium I for 2K? It shoes that many people love it. I am actually interested on it. Btw, I am the blogger here at www.retailsolutionsadvisors.com and let us know what you think of our site. You can see our blog in the menu. We take pride in our finance commercial real estate blog and related topics, we use on our blog. 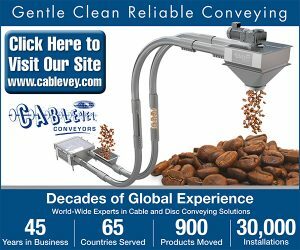 We will save your site.